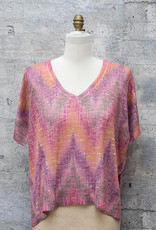 The Nally and Millie Pastel Chevron Print will brighten up your wardrobe with a pop of color and a relaxed fit. 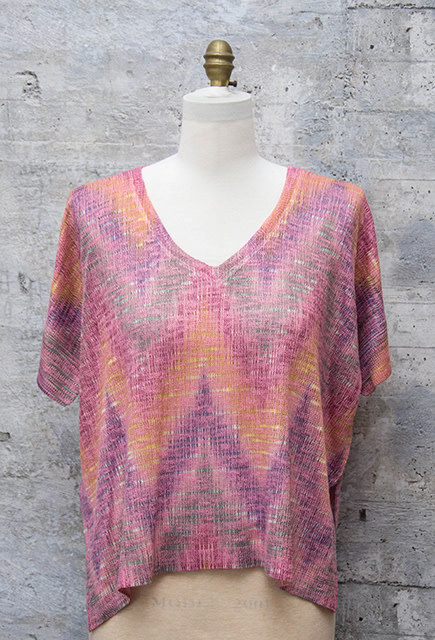 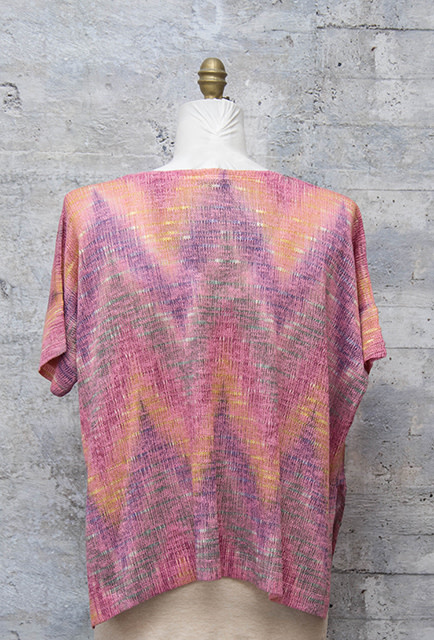 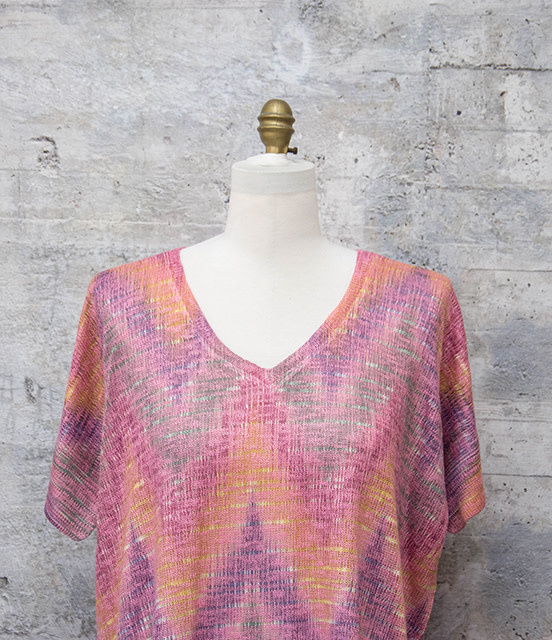 This dolman style top with short sleeves made with a blend of polyester and rayon offers a lightweight option for warmer days. 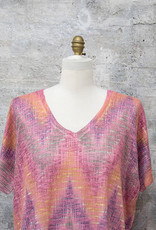 V neck and small slits on the sides, this top will be a great addition to your wardrobe.